We are offering Fiberglass Texture Rock Panel to our clients. All the above mention ways of Fencing are possible. We can provide these fence sections for any length as per our guests’ requirement. In addition to this, we can provide with the pre drilled holes as per the specifications mention by the guest. We offer Rafter which is used to enhance the beauty of the building. 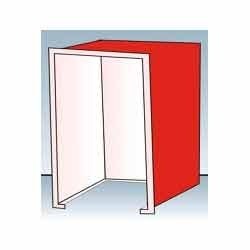 The range is fabricated using quality wood like FRP and is durable, reliable and dimensionally accurate. It is corrosion resistant, low in maintenance and can withstand different weather conditions. Tested on various parameters, the range is also customized as specified by client. 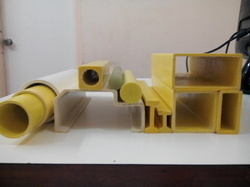 We can manufacture complex Fiber Glass Fabricated Components for applications such as insulation plates, Terminal boards, Lead clamps, conductor supports etc that are manufactured from Epoxy / Polyester composites.